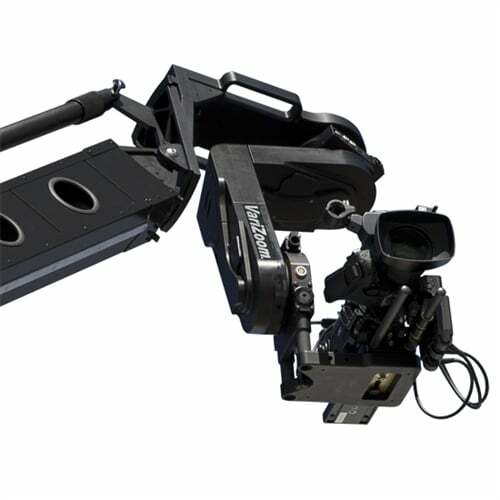 The Cinema Pro-K2 includes broadcast-style pan bars for a very intuitive, but high-performance method of remotely operating a camera with minimal learning curve. 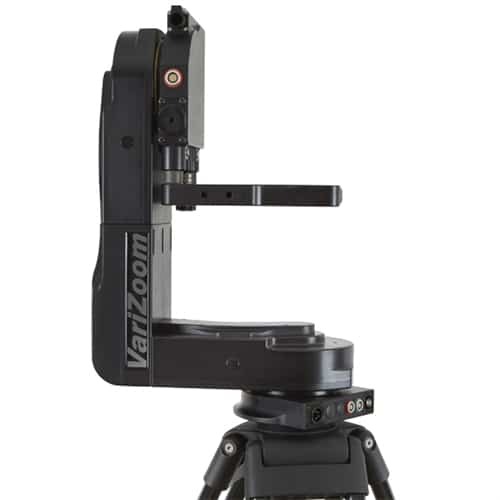 This extremely stable and dynamic true motion control system gives complete pan/tilt/zoom/focus control from the handles of encoded pan bars that work just like a fluid head tripod. 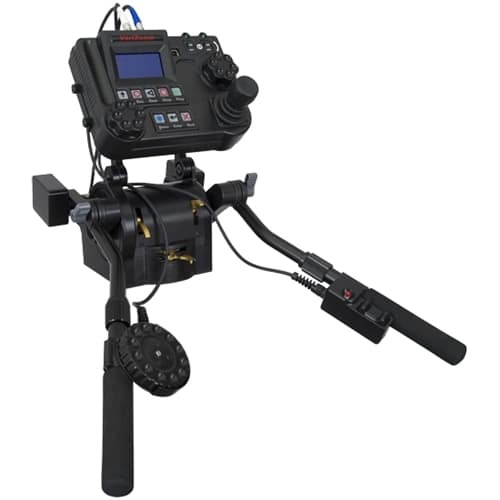 Utilizing powerful but quiet drivetrains and full slip rings, the Cinema Pro remote camera head is capable of tracking the most delicate to the most intense actions with equal grace. 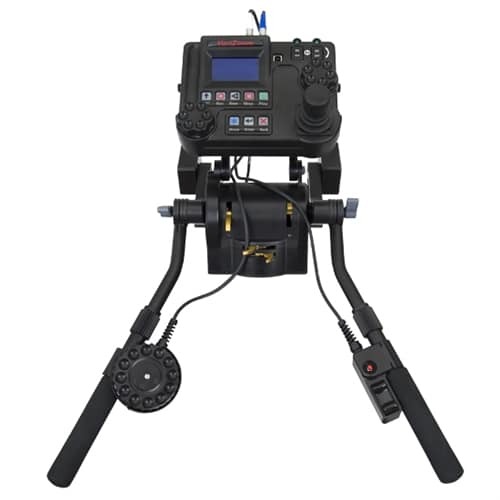 This remote control camera system features built-in lens control, repeatable 5-axis capability, advanced intervalometer, and full motion control parameters. 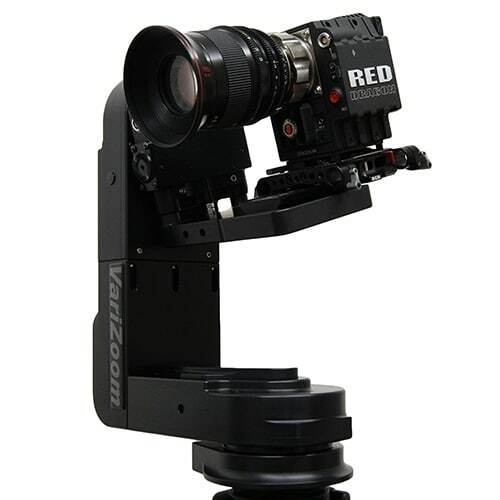 Our motion control camera systems are designed and manufactured in the USA, and backed by outstanding customer support. 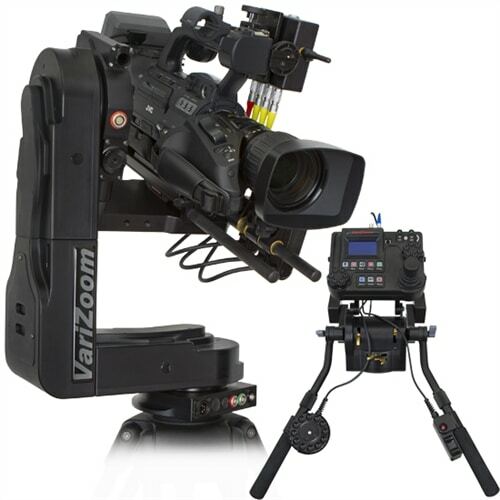 VariZoom motion control camera systems have made a name in the industry for a reason. Cinemapro-K2 remote camera system includes Control Console, Encoded Pan Bars, 50′ Control Cable, 30′ Pwr Cable, Pwr Supply & Rolling Hard Case. Now available – Stabilization / Backpan upgrade.Designed and built by Academy Award winning motion picture engineers, the Cinema Pro, aka The Talon, has been chosen by DPs and producers around the world for its smoothness, stability, and versatile feature set. In production for many years now, the Cinema Pro is extremely reliable, easy to set up and operate, and capable of imperceptibly slow or lightning fast moves with no sacrifice in stability. With an impressive set of standard features and a proud pedigree, it outperforms the competition at a fraction of the price and works with a huge range of film and video cameras. The Cinema Pro-K2 pan bars kit is popular with broadcast operators, sports cameramen, and videographers. The pan bars are great for tracking shots and easier to learn than the hand wheels, so those relatively new to motion control often gravitate toward the pan bars option. The pan bars offer scalable speed so the head’s range of motion can be customized relative to the motion of the pan bars. 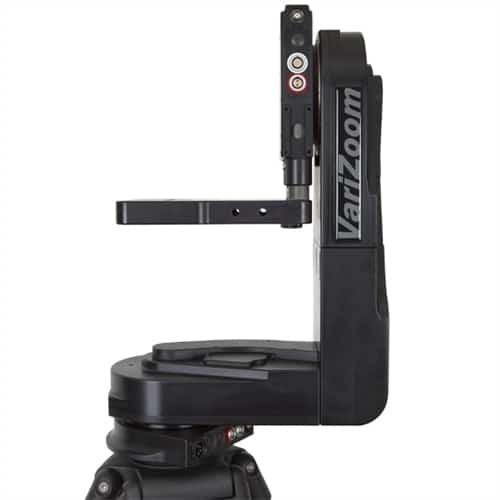 The zoom & focus hand controls on the pan bars enable seamless single-operator remote camera control. The pan bars are slaved to the advanced console, which features a superb 3-axis joystick with customizable response for pan/tilt/zoom, oversize control knobs for focus and menu adjustment, backlit keypad, and a whole host of parametric menu settings and interface options. 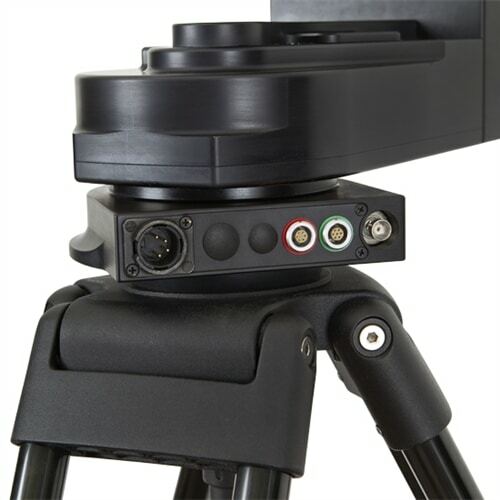 The motion control camera systems are compatible with virtual set software, motion data import/export, and is capable of controlling servo lenses directly or can be integrated seamlessly with our TOC external lens drive motor system. The Cinema Pro is used on a regular basis by crane & jib operators, visual effects studios, sports & racing productions, and feature film crews worldwide. 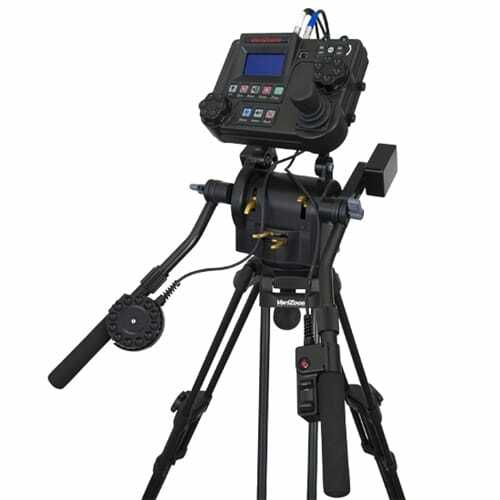 This motion control remote camera head is available with a wide array of options for camera control, mounting hardware, and even wireless up to 1 mile, the Cinema Pro motion control remote camera head is the ultimate in affordable true motion heads, with superb mechanical stability and frame-accurate, recordable 5-channel control for absolutely precise repeatable motion control sequences. If you have any questions, please email or call us, or you can visit one of our demo/rental outlets for a hands-on experience. 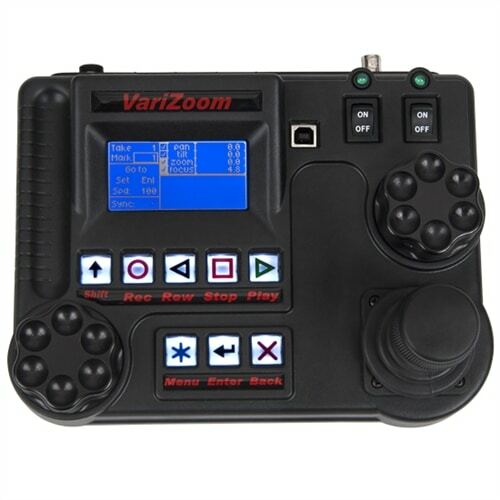 The Advanced Controller, aka ‘Full Function Remote,’ is the brains of the system that contains all the parametric motion control and recording capabilities, as well as an LCD readout, connector panel, pan/tilt joystick, and zoom/focus controls. 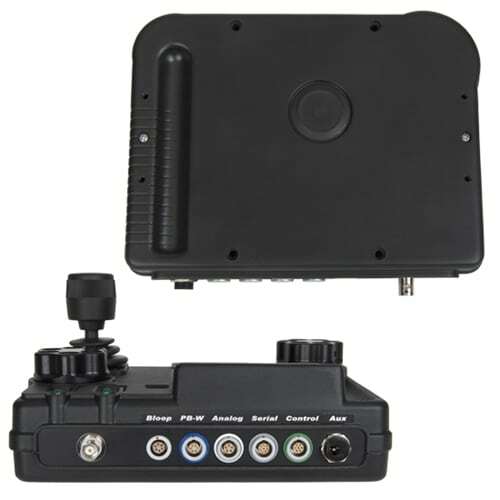 The Advanced Controller can be used stand-alone for desktop/tripod operations or paired with optional Control Input Units. The Optional Pan-bars and Hand-wheels Control Input Units must be used in conjunction with the Advanced Controller. I really like the small form factor of the VariZoom CinemaPro… I also really like how easy the Cinema Pro system is to set up. I am very pleased with the Cinema Pro System. Especially with the price as compared to other systems of that caliber. I have been waiting a long time for a product at this price. The Cinema Pro does everything I need it to. 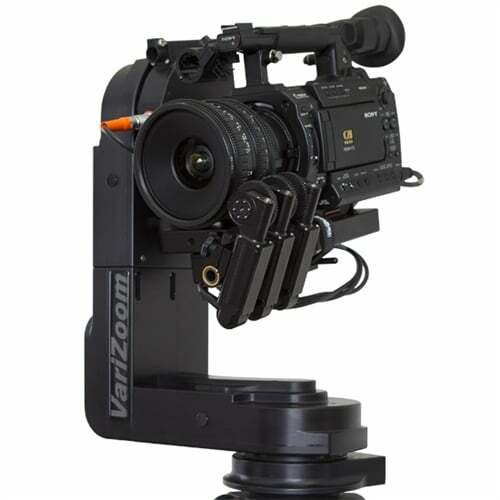 VariZoom’s Cinema Pro is a great product. We use it weekly. 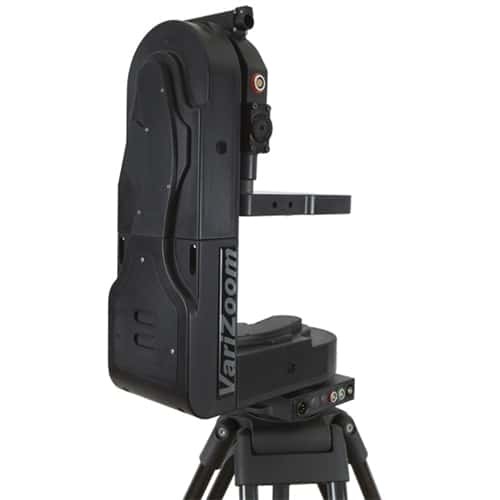 When we began our search for a high end motion control system to put atop our camera boom we found VariZoom / MocoDyne Cinema Pro series to offer the largest feature set that was fully expandable and high performance. We purchased the Cinema Pro Head, the encoded Pan Bars, and more recently added the Jib Stick. We plan on additionally purchasing the Cinema wheels as we can cover all aspects of production with this full featured system. 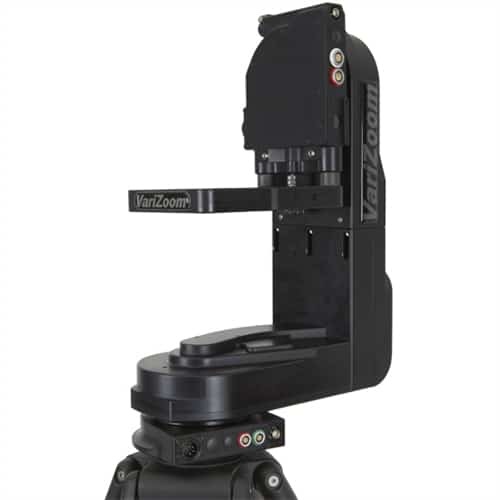 Vertical – Camera pointing straight down/up: 11" from center of cam plate to base. 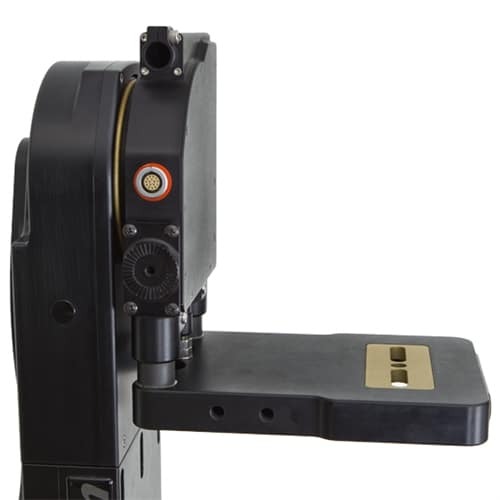 Horizontal – Camera pointing level horizon, underslung: 15.5" min / 17.5" max. With 2" head extension: Vertical 13", Horizontal 17.5" min / 19.5" max.